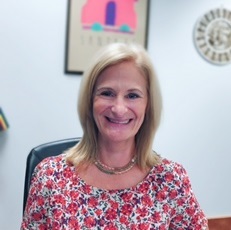 Jodi McGuire is in her eighth year as the Director of Instructional Support in Yarmouth, after completing fifteen years as a special educator and instructional strategist at Yarmouth High School. Prior to her tenure in Yarmouth, Jodi worked as a special educator in Maine, Florida and New Mexico schools. Jodi completed her bachelor's degree at the University of Maine at Farmington, her Master's degree at the University of New Mexico, and her Certificate of Advanced Study in Education Leadership at the University of Southern Maine. Instructional Support encompasses a range of services that support students in accessing the general education curriculum. These supports include Response to Intervention, including a screening process for all students that identifies those who are not meeting expectations so that appropriate interventions can be delivered; Title I services which are embedded within the RTI process; 504 Plans, which include classroom and testing accommodations; ESL (English as a Second Language) services for students whose first language is not English; Talents programming to address the academic and emotional needs of gifted students; Special Education services for students identified with a disability and the need for specially designed instruction; Guidance services; and Nursing services.